Corporate Car Rentals has never been so cheap and so simple. Kumar Travels provide the easiest way of renting a car in Nagpur that includes different kind of cars from Luxury Cars to SUV & MUV. We specialize in providing car rental service to the corporate sector. Our professionals can take care of total management of your car rental needs. We offer a comprehensive range of high quality, personalized service and 100% reliability cars, vans & taxi for corporate sectors. Our service is designed to meet the everyday car rental needs of Corporate in the most efficient and cost effective manner. 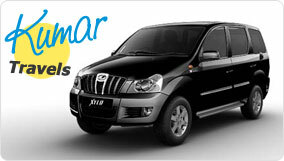 Our Cars are Available in all major and small parts of Nagpur and near Nagpur. Hire Car in Nagpur and Take pleasant experience in life by visiting different places. -	Special Occasions / Events like Conferences, Meetings, etc.